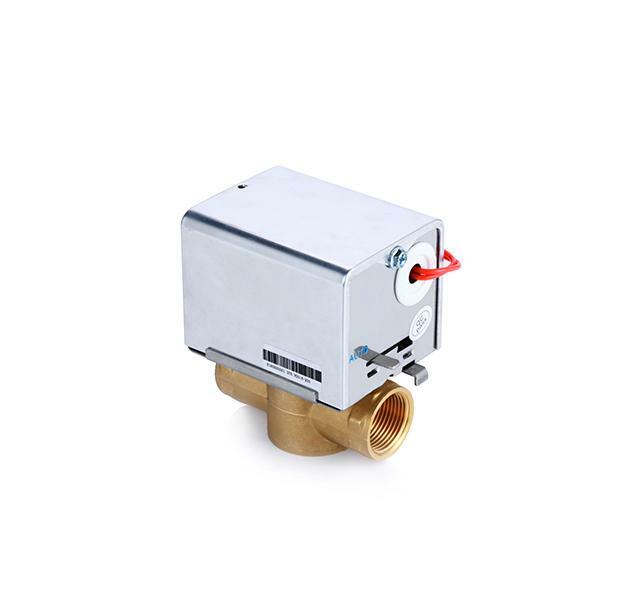 The SK series brass motorised valves are primarily designed to control the flow of water or steam in response to the demand of a controller in zone and fan coil applications. The valve is driven by hysteresis synchronous motor with spring return. The valve is normal-closed. When thethermostat is working, it will provide an opening signal, and the motorized valve will be turned on to open. Thenthe chilled/hot water will enter into the coil and supply the cold/hot to the room. When the room temperature risesup to the set point, the thermostat will make the valve power off. At the same time the valve will be closed byreturn spring and the water to the coil will be shut off. 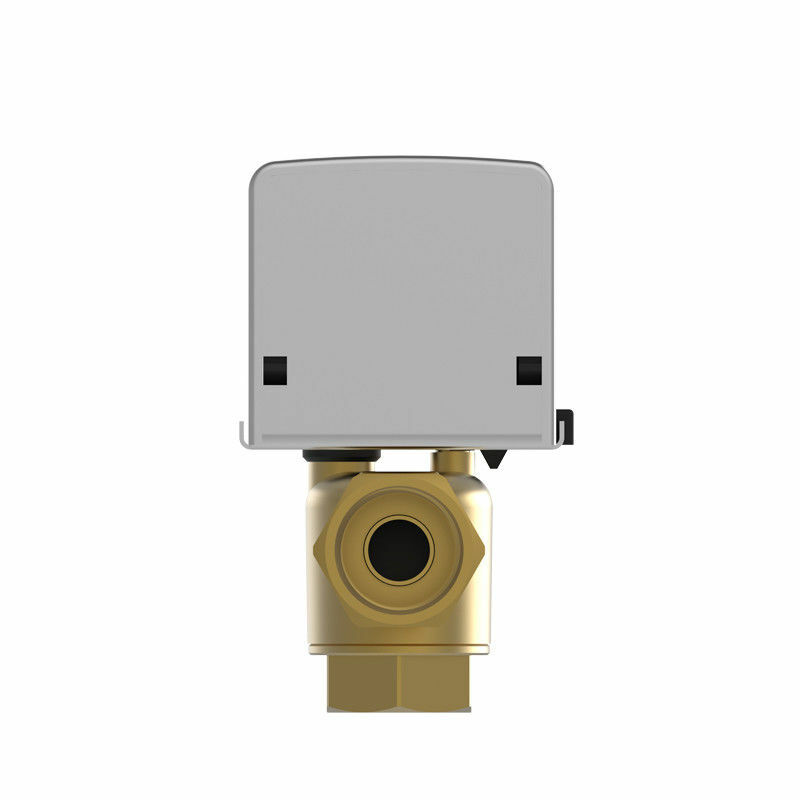 The room temperature will be kept in the setting range allthe time through the opening and closing of the valve. 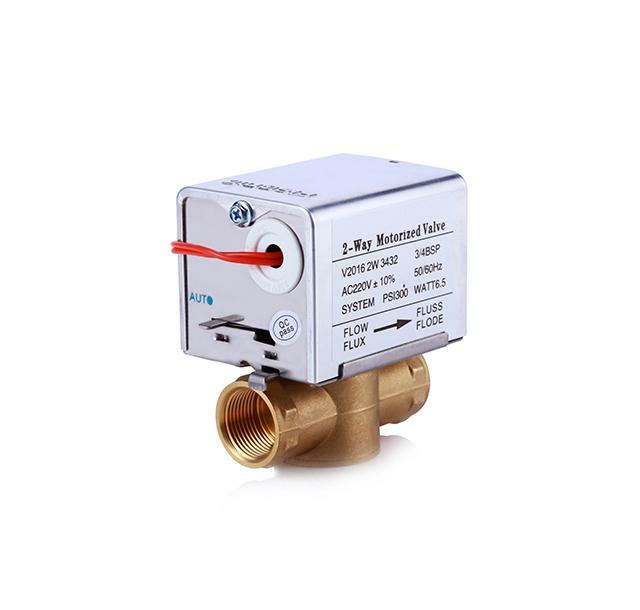 1.Inlay contact switch, the motor is power off after the valve completes open and close, so it has long service life and power saving, but is also safe. 2.The valve body is separated with driver, could be disassembled rapidly. 3.The valve body structure is unique, is allowed of big pressure difference. 6.Select ordinary driver, one temperature controller matches only one electric vale, or any results caused will be nothing with manufacturer. 1.Please read this instruction carefully before installation, ask professional to perform installation and connect according to wiring diagram. 2.The electric valve should be installed to the place with certain distance from around articles, but also could be reached by maintenance person. No electric equipments are allowed to install under the valve body, as to avoid leakage and danger. The driver shall be above the valve body horizontally. 3.Clear up the sundries in the pipe before installation, install 50 mu (or thinner) filter in the front end of electric valve. Motorized control valve should be mounted on cold/hotwater inlet or outlet pipe of fan coil unit for opening orclosing cold /hot water. The actuator is controlled by theroom thermostat. 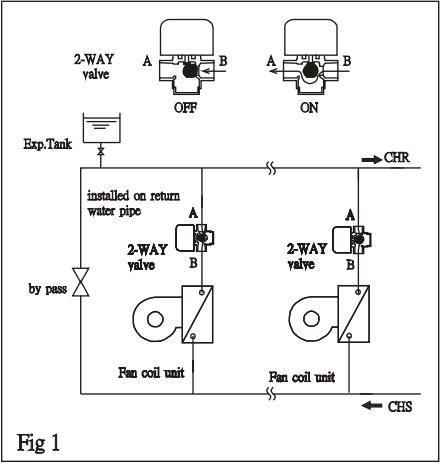 2-way valve(see Fig 1) is installed on cold/hot return water (CHR) pipe , when de-energized, the rubber insidenormally closed at port "B" , stop water flow. when energized, the rubber moved from port "B" to the centerof port "B" & "A" and cold/hot water flow through 2-wayvalve to return water pipe. when energized , rubber is moved from port "B" to port"A" and closed. Cold/hot water inlet from port "AB"through port "B" to fan coil unit then outlet to returnwater pipe. 2 & 3 way valve should not be installed in wrong flow direction to avoid vibration and noise; By-pass valveand Exp Tank is needed for water flow fluently. We will arrange the delivery once the payment pass risk monitoring. In order to protect both buyers and sellers, we need 8-24 hours to verify the payment. The order will be sent out within 10 working days (excluding weekends and holidays) as soon as your payment is cleared . 1.OEM and ODM are all welcome. 3.Answer your questions online 12h(8:00 a.m.~8:00 p.m.).